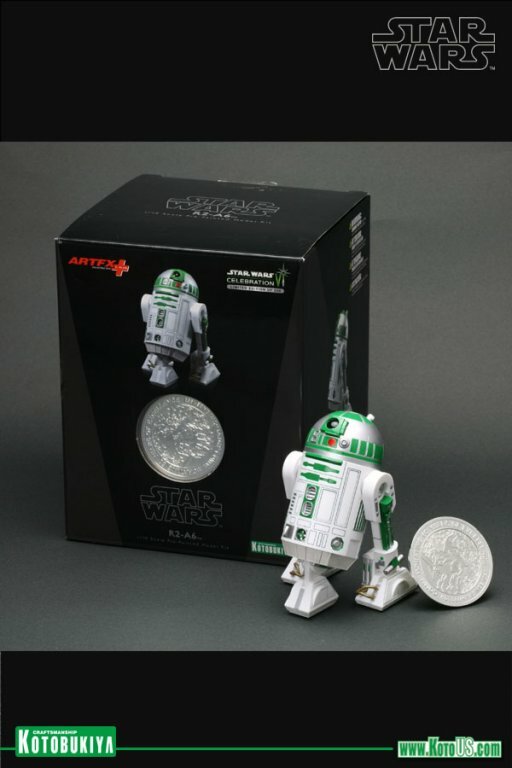 At only 500 pieces and $29.99, the Kotobukiya Celebration VI exclusive ARTFX+ R2-A6 shouldn't last too long at Celebration 6, particularly with that cool collectible coin. Koto has set aside a small number for their online store to purchase now and be delivered after the convention. If you're attending CVI, this may spare some luggage space.